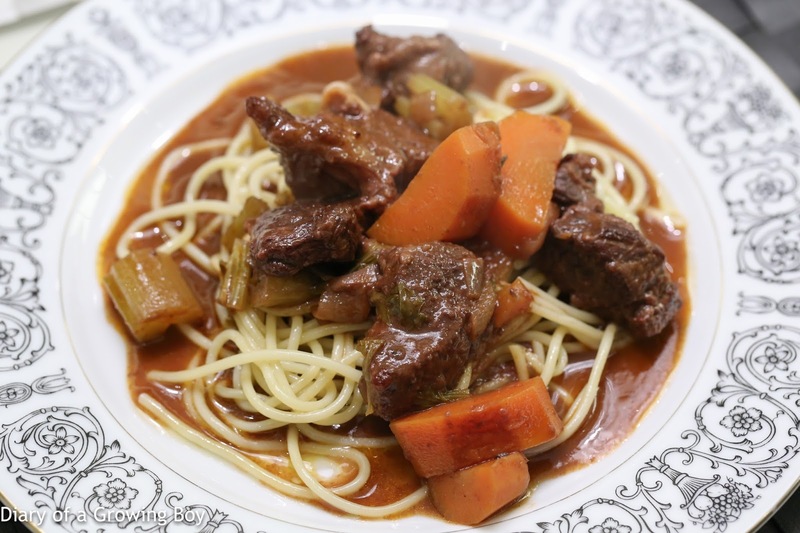 Bœuf bourguignon - we were a little short on time, so the carrots weren't as tender as I'm used to, but the beef shank was definitely tender enough. 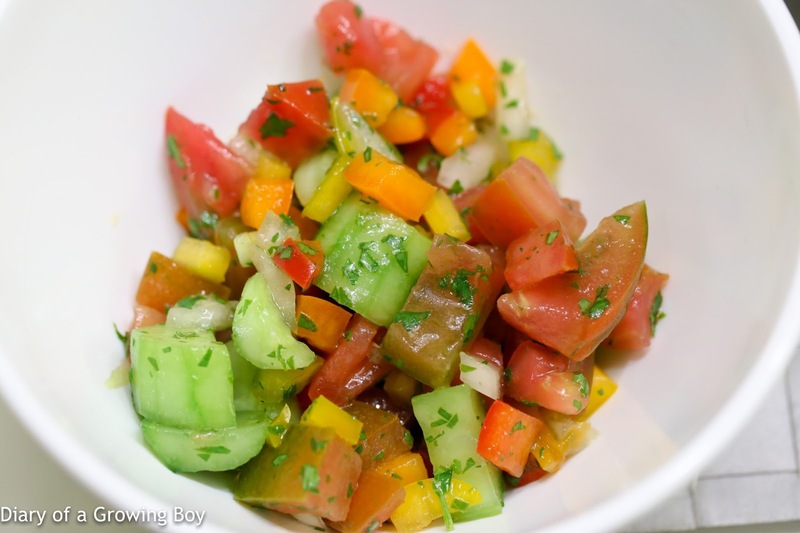 And yes, the flavors from the wine made things much better. The spaghetti was cooked al dente, with some pan-fried garlic. 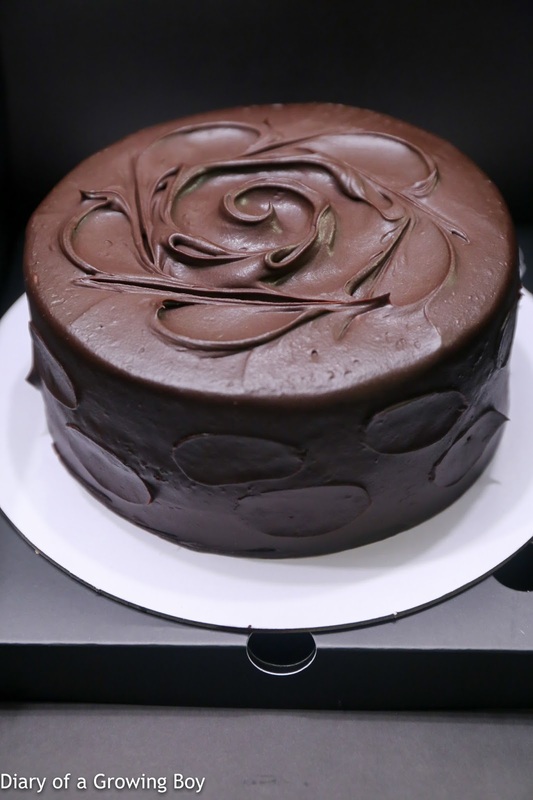 The classic chocolate cake from Black As Chocolate is something I know that mom likes, as it's not deathly sweet. It was perfect. 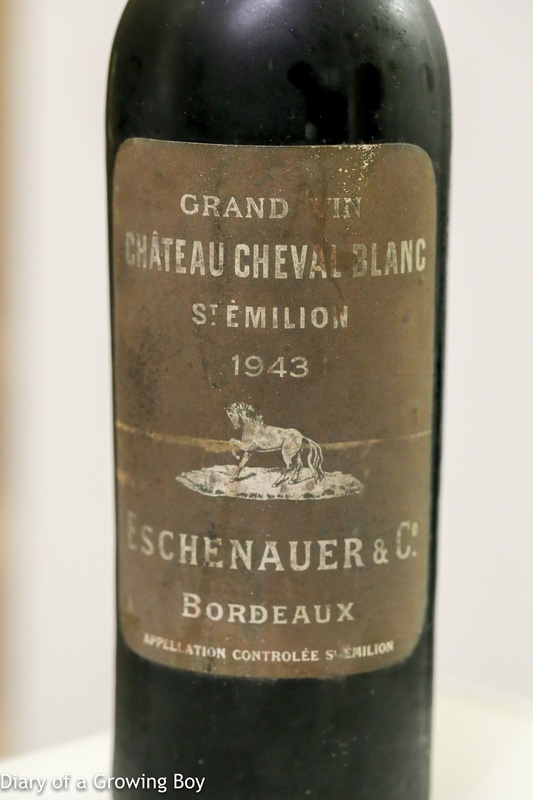 1943 Cheval Blanc, Eschenauer bottling - smoky nose with grilled meats, nice and fragrant cedar notes, leather, and a little stewed fruits. A nice surprise. Mom was very happy. Hello Kitty had cooked dishes which aren't in mom's repertoire, and that is always interesting to mom. Mom even packed the leftovers home, knowing that we wouldn't have the opportunity to finish it. I'm grateful to have had Hello Kitty's help, and glad that everything turned out well despite the mad rush.